GERSHOM SCHOLEM was professor of Jewish mysticism at the Hebrew University of Jerusalem until his death in 1982. He is also the author of The Messianic Idea in Judaism, On the Kabbalah and Its Symbolism, On the Mystical Shape of the Godhead and Zohar. 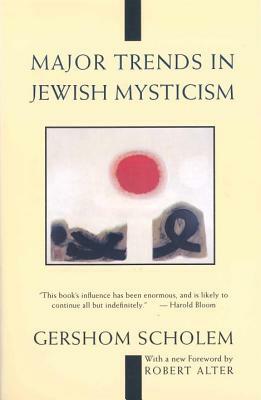 "A crucially vital work in the long history of Jewish esoteric spirituality. Aside from its intrinsic importance, the book's influence has been enormous, and is likely to continue all but indefinitely. As much as the stories and parables of Kafka, Scholem's work helped inaugurate Jewish gnosticism on our era." "Over fifty years ago, Major Trends struck the scholarly world like a bombshell, marking the beginning of a new era. The book's unique combination of philological erudition, phenomenological penetration, and synthetic sweep not only wrought a revolution in Jewish studies but also established Jewish mysticism as a major phenomenon in the general history of religions." "As the Zohar is the canonical text of the Kabbalah, so, in a sense, is Scholem's Major Trends the canonical modern work on the nature and history of Jewish mysticism. For a sophisticated understanding, not only of the dynamics of Jewish mysticism, but of the exquisite complexities of Jewish history and tradition, Major Trends is a major port of entry through which one must pass."